At Catherine Kasper Life Center, we pride ourselves on enhancing our residents' quality of life with living and learning programs, which accommodate all age groups. 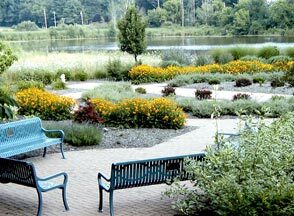 Our retirement community is located on grounds that include a college, greenhouses, an art studio, and a lake to ensure our residents have access to a range of activities within footsteps of your home. 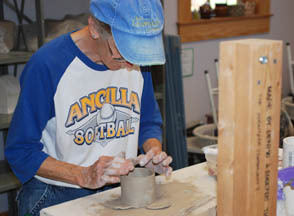 Ancilla College is a 2-year liberal arts college sponsored by the Poor Handmaids of Jesus Christ, which offers 18 academic programs for traditional and non-traditional students. The college is located on the grounds of The Center at Donaldson in Donaldson, Indiana. 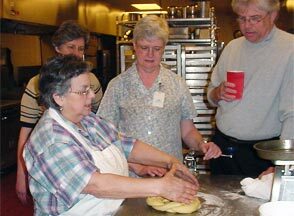 Earthworks is an environmental education resource for local communities sponsored by the Poor Handmaids of Jesus Christ. Dedicated to demonstrating and teaching how all species on our fragile Earth are connected, Earthworks offers a place of education, beauty and demonstration. The Earthworks campus is rich in natural ecosystems including wetlands, a forest environment, riparian zone and restored prairie areas. In addition, Earthworks has herb and vegetable gardens, a large teaching greenhouse and domestic farm animals. The greenhouses located at Earthworks supply the kitchens at The Center at Donaldson with fresh vegetables. Lindenwood is an ecumenical retreat and conference center located at The Center at Donaldson in Donaldson, IN. Our Center offers a peaceful and spiritual atmosphere for church groups, non-profit organizations, businesses and individuals to address issues of personal growth and development. Lindenwood provides space for reflection and meetings in a peaceful atmosphere. A gothic-style chapel, prayer garden, labyrinths, and comprehensive library offer ideal settings for relaxing. In addition, Lindenwood sponsors many retreats and workshop opportunities such as 12-step, women’s and men’s spirituality, and quiet days of reflection. The ministry of MoonTree Community works to encourage the artistic movements in each individual in an ongoing attempt to help earth heal herself and unite all with the larger whole. Via activities like cob building, pottery workshops, healthy eating classes, and nature exploration, a visit to MoonTree can help restore your health, spirit, creativity, and the planet.